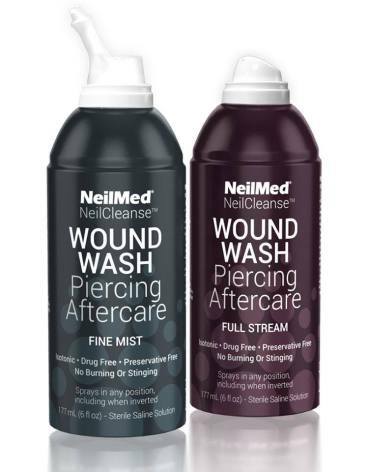 NeilMed piercing aftercare gentle mist saline spray with a special mist tip is isotonic, drug free, preservative free, no burning or stinging. Sterile saline solution that cleanses minor wounds and scrapes without any burning or stinging. Sprays in any position, including when inverted.